A styling tip for the dress lovers. I love layering tops with dresses to not only add some interest to the outfit, but to also maximize the utility and versatility of my closet. I love so many pieces in my wardrobe and I want to show everything off at once, like this silk Equipment dress from their Spring collection! This is a great way to mix and match a couple of favorites, to stay a little warm at the breezy beach, and to style a growing belly with flattering proportions ;). Crop tops like this vintage cotton blouse I'm wearing are ideal for putting over a short or long dress. 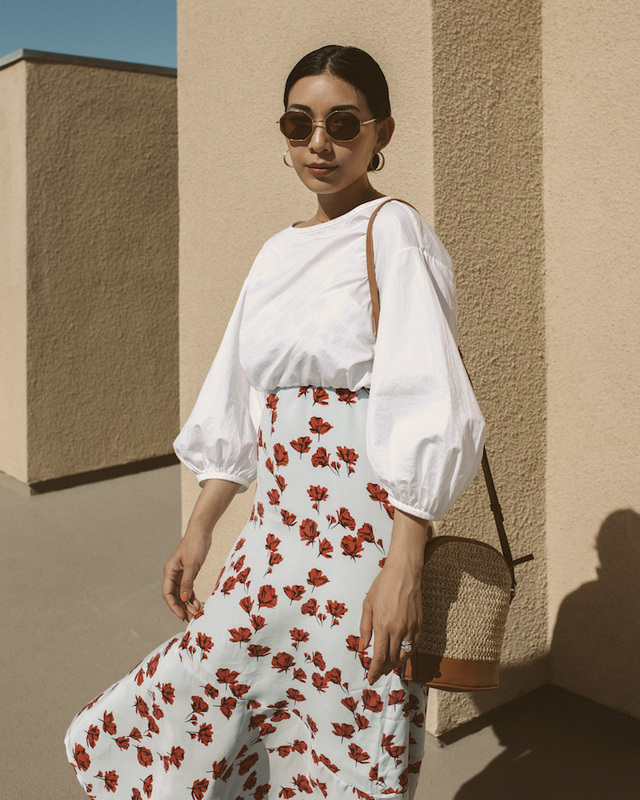 Or, you could take any button up, button just the couple middle buttons, and tie the loose bottom corners around your waist for a sweet look; silk blouses are the best for this styling (psst, I buy all my silk blouses vintage or second-hand). I've rounded up some of my wishful blouse and dress pairings below from my favorite brands. 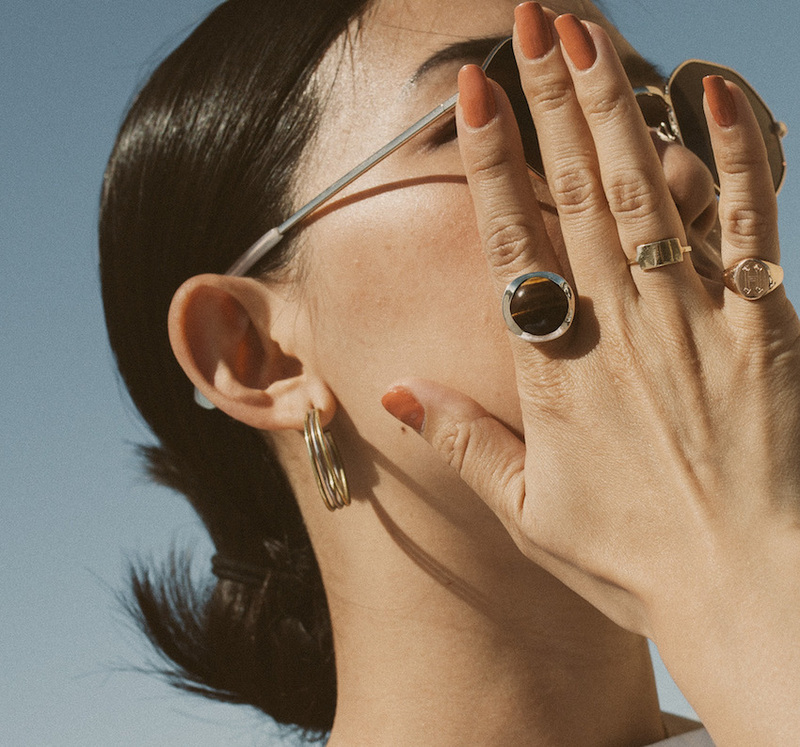 I've been super into discovering new, independent jewelry brands on Instagram and I've recently come across Concrete Collective NYC that creates exceptional forms of art in wearable jewelry. New York's diverse architecture, sculpture, curves, and femininity inspire their elegant designs. 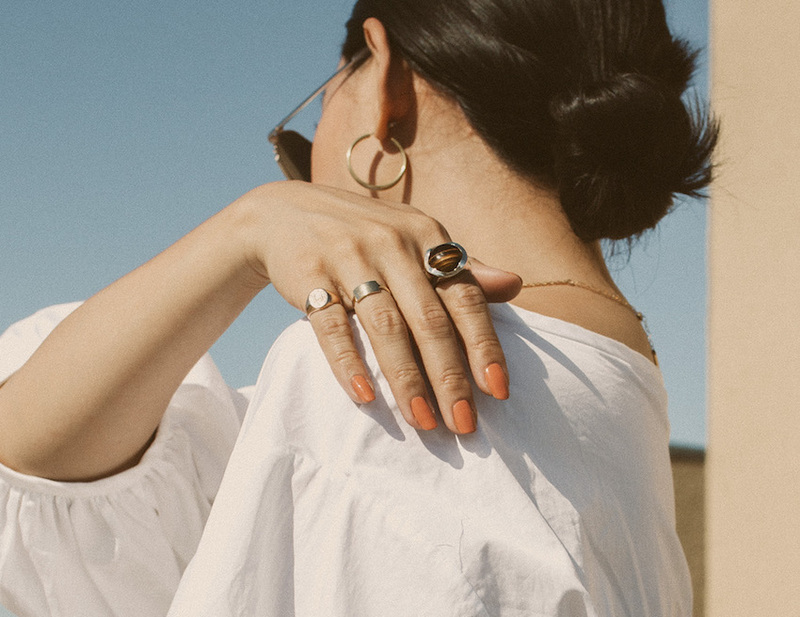 I love the Maura Ring with Tiger's Eye that I'm wearing because of its subtle curves in the silver setting and the powerful energy that can come from this beautiful , lustrous gemstone I admire. I'm also eyeing the Illumination Ring from their collection too. Please post your nail polish colours too. Love them.